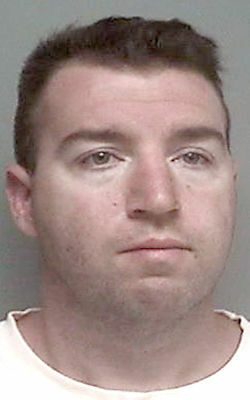 A Walworth County Fair demolition derby driver has pleaded guilty to a substantial battery charge in connection with a scuffle that started when he was disqualified during the 2017 derby. Prosecutors said Robert S. Moore, 34, of Lombard, Illinois, became angry upon being disqualified, drove his car into a skid steer and gave a sheriff’s deputy a concussion. He pleaded guilty April 1 as part of a plea agreement, according to online court records. Charges of battery to a law enforcement officer, disorderly conduct and criminal damage to property were dismissed and read in to the record. On Sept. 4, 2017, Moore refused to leave the derby, yelled profanities and showed his middle finger to the referee, according to the criminal complaint. When someone tried to remove his car, Moore drove into the towing vehicle, causing $800 in damage. When a deputy ran into the melee, Moore struck him in the side of the head, the complaint states. The deputy then shot Moore with a Taser. Moore is scheduled for a sentencing hearing at 11 a.m. May 24. A demolition derby driver faces criminal charges after police say he became irate when he was disqualified from the Walworth County Fair's derby, drove his car into a skid steer and scuffled with a sheriff's deputy.